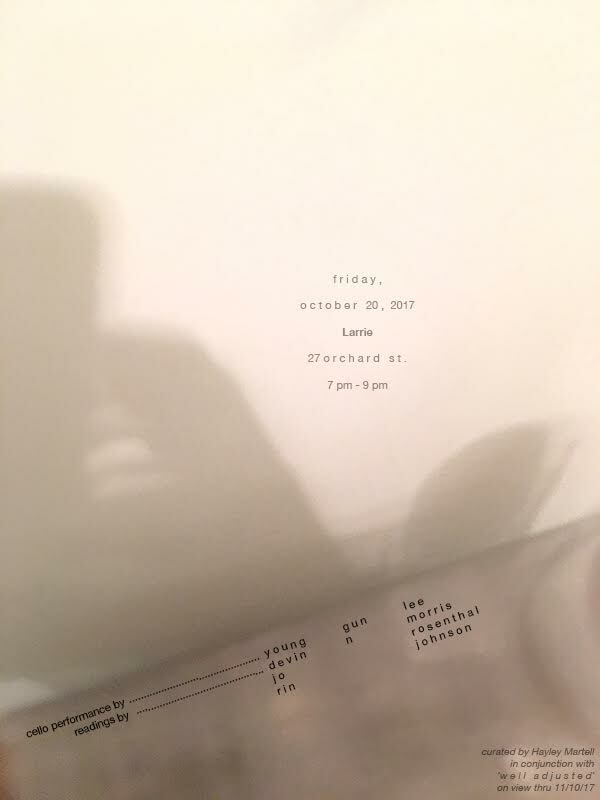 BFA Alum Jo Rosenthal ’16 will be participating in a group show, “Performance Night at Larrie Gallery”, a night of readings and performances by Jo Rosenthal, YoungGun Lee, Devin N Morris, and Rin Johnson, curated by Hayley Martell to accompany her solo show at Larrie Gallery. The show will be open from October 8—November 10. See more about the show here and more about Jo’s work here.